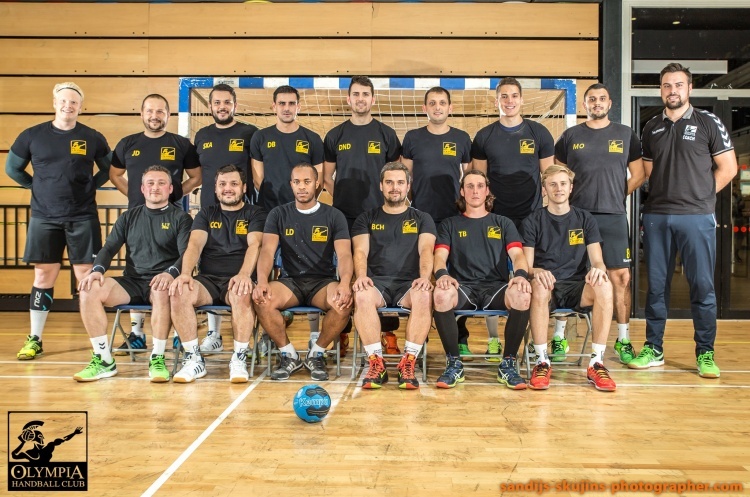 Olympia have the opportunity to top the table this weekend when they travel to Manchester to play NEM Hawks in the Men’s Premier Handball League. Victory for Olympia and a defeat for current leaders London GD in their Sunday match against Nottingham would see the two teams level on points. However, Olympia with a better goal difference, would head proceedings. They would also have a game in hand. Hawks are third from bottom in the table, but with one point separating fourth from sixth, they know victory could lift them up the table. Throw-off is at 12.30 on Saturday at Powerleague Trafford Sportsdome. Elsewhere in the league, West London Eagles host Warrington Wolves, Liverpool play Cambridge and London GD travel to Nottingham in what will be a weekend of north-south showdowns. Leaders GD travel to fourth-placed Nottingham on Sunday. The Midlanders lost their last two matches by narrow margins and will be looking to climb the table against a GD side which was pushed hard by West London Eagles last time out, and lost at the hands of Olympia before that. Throw-off is at 14.30 at Sutton Bonnington Sports Centre, Loughborough. Third-placed Wolves, who have seen their form improve after a tough patch, play an improving West London Eagles. Wolves will be aiming to make it three wins in a row, but will be wary of the Eagles on their recent form. The match is at Barking Sporthouse and throw-off is at 15.00 on Saturday. Cambridge travel to Liverpool and will be searching for a victory against the bottom-placed Merseysiders having had a draw and a one-goal victory in their two previous matches. Liverpool go into the match looking for their first win of the season. Throw-off is at Manchester Soccerdome at 4pm on Sunday.